CommodityChannelIndexIndicator measures the current price level relative to an average price level over a specific period of time. 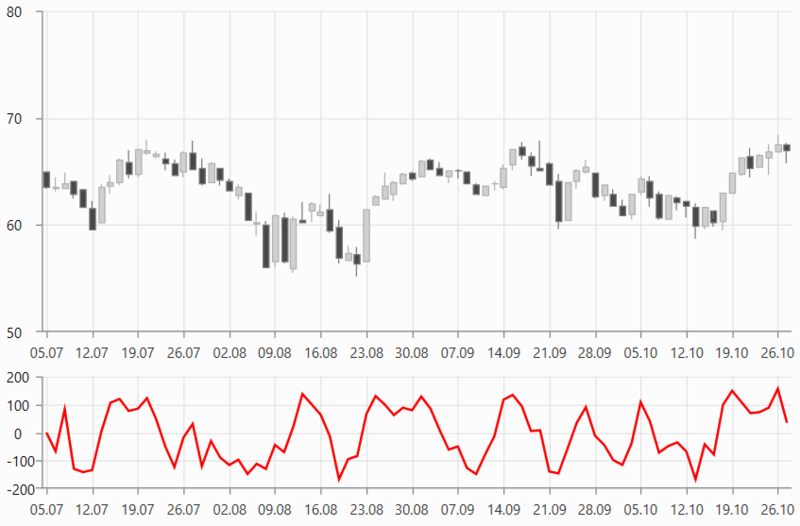 The indicator can be used to identify overbought and oversold levels. To set up the indicator you can set its CategoryBinding, HighBinding, LowBinding, CloseBinding, and ItemsSource properties. Additionally, you can control the period (in days) over which the indicator will be applied. To do this set the Period property.